The present paper is a concise overview of some problems of feedback control under uncertainty and state constraints. It emphasizes the application of set-valued techniques for these problems (see , , ) and indicates the connections with Dynamic Programming (DP) approaches, particularly with the “nonsmooth” versions of the latter, (see , , ). 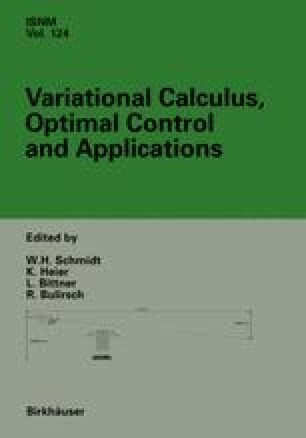 A constructive technique based on ellipsoidal calculus as collected in monograph  is then described for linear systems with convex-valued hard bounds on the controls and state space variables. Namely, the respective convex compact set-valued constructions (see , , ) are described in terms of ellipsoidal-valued representations. This “ellipsoidal” move leads to rather effective algorithms with possibility of further computer animation. For the problem of control synthesis it particularly allows to present the solutions in terms of analytical designs rather than algorithms as required in the “exact” theory. 1 The last approach also appears to show connections with control techniques for uncertain systems based on applying Liapunov functions, .